My brother and I spent 2 weeks here over Christmas 2014/2015. This was our second visit in the last few years. The staff are all warm and friendly and remembered us from our first visit which was a nice feeling. We originally had booked the ocean front bungalow, as our mother was going to be coming on the holiday as well, but this had to change at the last minute and the hotel was able to switch our rooms to a smaller bungalow which was very helpful for us. We enjoyed our stay here and love the little restaurant on the ocean. The food was always tasty! My only suggestion for the hotel is to replace the mattresses. They are very uncomfortable and our nightly rate was $80 US so this is not a cheap hotel. Room tip: Rooms on the main floor are better than the upper rooms; also, sea view rooms are nicer than garden view but that is a given. I would definitely enquire about the deck for the ocean front bungalows, as they were being repaired when we were there at Christmas 2014 and I would not want to stay in them unless the decks were usable. we stayed hear for 5 nights and were very pleased with our choice. We had a sea view double room - not the best view but could hear the sea... Which was very close. The pool area was lovely and a good size for a small resort. The breakfast was plentiful and of a good standard. The location was good very central with lots of bars restaurants near by. We had lunch twice which was of a good standard. We paid $50 per night - which was about right. After staying the first night at a different spot in Mui Ne I moved to Sunshine Beach Resort, which is a small, cosy, clean and lovely place. The members of staff are very helpful, friendly and english-speaking and I felt very welcome from the first moment. The atmophere is nice and relaxed. Pool, terrace and restaurant are never crowed, same counts for the Spa. I had a massage and I pedicure paying very faire prices whilst listening to the waves and watching the sea. In my opinion the Sunshine offers great value for money. This was a wonderful surprise. Reasonably priced rooms in a really well kept garden. 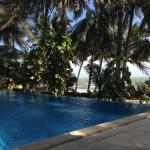 The pool is lush and the sound of the waves omnipresent. The staff is really sweet and helpful always smiling. The rooms are basic but clean and the storage is plenty enough and cleaned daily. 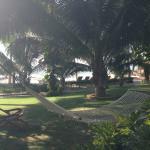 Great option on the beach if Mui Ne. Which all the places we could visit on our trip could be as good! Apparently it is a 2 star resort, looked way better than that. Rooms were OK, nothing special. Pool, beach and surroundings were great. Restaurants and bars are around the corner. Joe's bar is two doors away, nice place to have a beer at night. We spent three chilled out days here relaxing by the infinity pool and beach area. It was off-season so we had the whole place to ourselves for the first two nights. The room and ensuite were clean, breakfast was nice and included a selection of fruit, pancakes as well as cooked dishes. There are lots of restaurants in the area and the hotel is on the main road and faces the beach, though renting a motorbike is the best way to explore the town. There is an excellent spa attached to the hotel with very reasonably priced treatments. The reception staff were very helpful in organising our onward travel to Dalat.